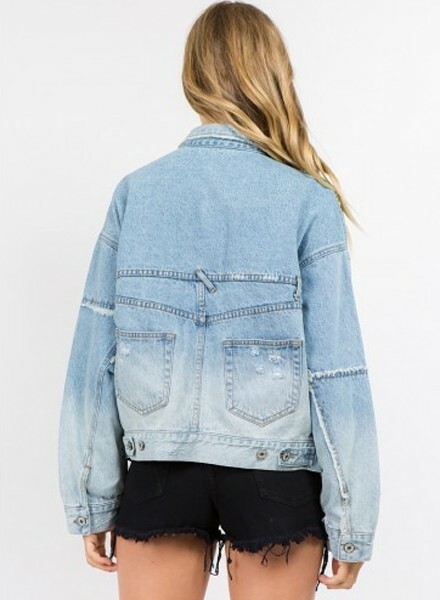 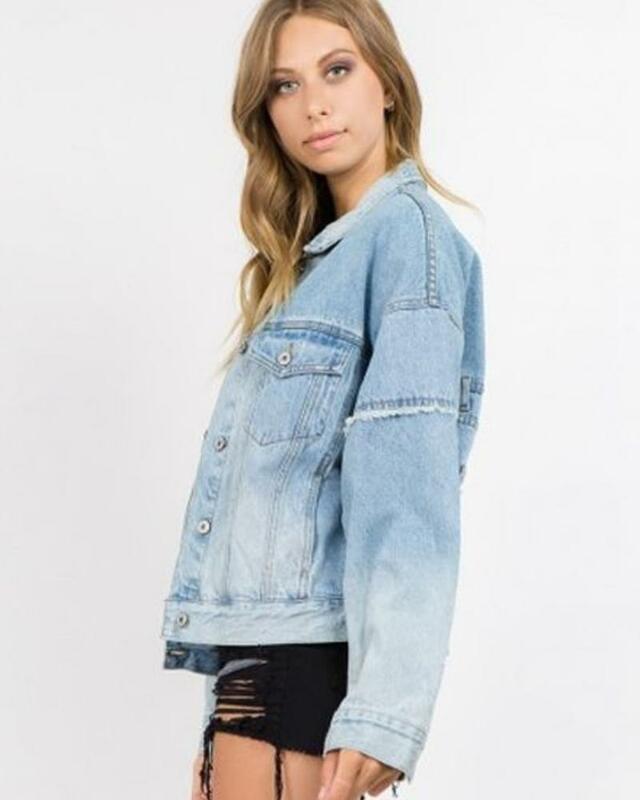 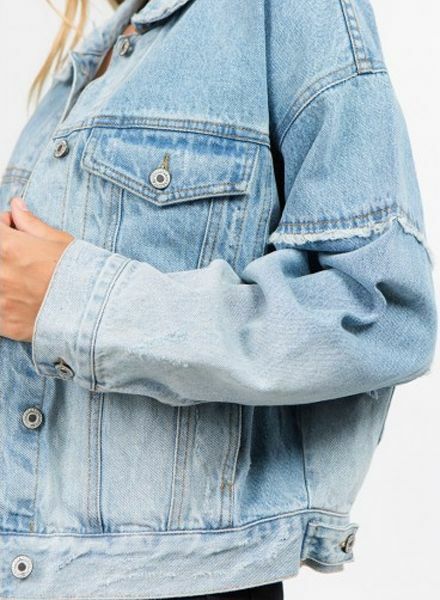 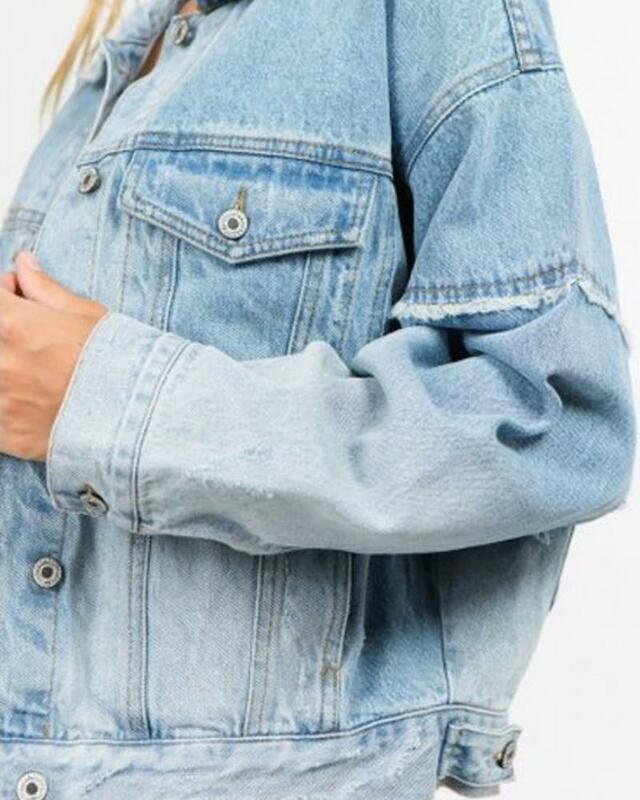 This is the perfect 90s grunge denim jacket to add to your closet with a deconstructed vintage wash and an oversized silhouette. 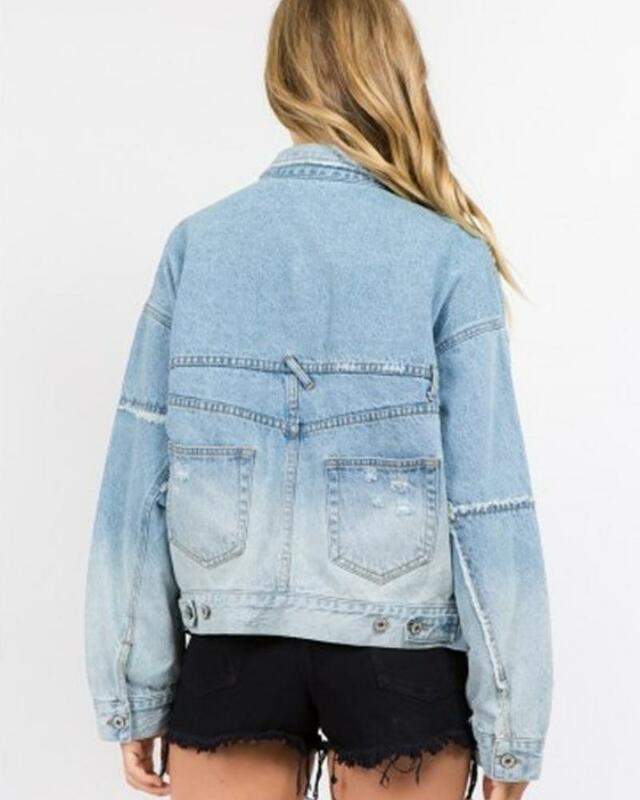 Features distressing and frayed hemming throughout. - Model is wearing a Small.